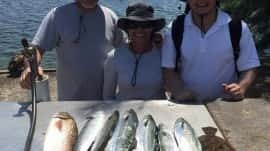 Tampa Bay Fishing has been really good! 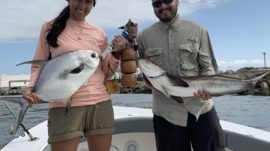 Permit, Pompano, Sharks, Jack Crevalle, Cobia, Trout, Sheepshead, and Redfish all are eating really well. Lots of my trips get home with so much fish they could not be happier. Life is good on this side of the guide life! 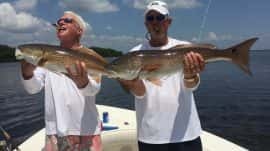 Fishing Tampa Florida in the Bay and flats has been spectacular! 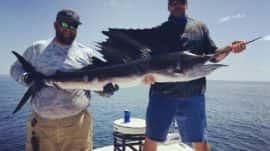 Fishing Guide as a full time job in Tampa Bay, St. Petersburg and Clearwater we have been getting tons of snapper, mackerel, big trout, snook, shark and red fish. 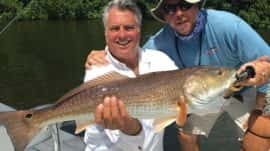 Tops slots fish as well as huge reds to 15 lbs. Monsters! 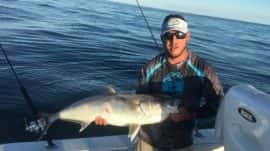 Fishing charters have been very successful with Cobia, Snapper Mackerel shark and trout on each trip. They seem to be getting bigger. Snapper limits are almost a guarantee! 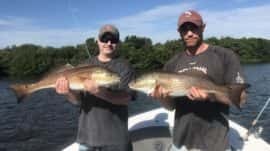 Redfish are spooky but they are real good when they finally show up! 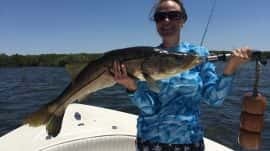 Snook are quick to hit and are providing a quick breathtaking fight! This is what Dreams are made of! 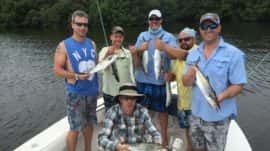 We got the Giant Snook and went for some redfish as well. If you follow football that is Josh Robinson the new cornerback for the Buccaneers. Cant wait to watch football. It all starts soon! Won two division top slot slams for Snook, Redfish and Trout for the Johnny Ferlita Pediatric Cancer Tournament. The Woman and Kid division were my clients winning. They got some cool hardware! Shallow water fishing at its finest. 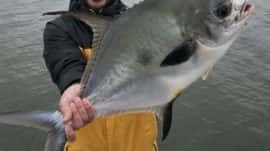 Slams, Slot fish, etc.. Reds, Snook, Trout,Tarpon, Shark, Mackerel, Cobia, and more.